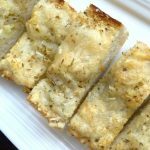 This cheesy garlic bread is the perfect dish for pasta dishes, lasagna’s or anything else you like to enjoy bread with. It is also a great appetizer on its own when served with a marina sauce for dipping. This recipe goes great with my easy lasagna recipe with ricotta cheese. Tip: If you can’t find shredded Gruyere, you can use the more traditional (and easier to find) shredded mozzarella instead. Cut ciabatta loaf in half lengthwise and arrange on a rimmed baking sheet lined with parchment paper. In a small saucepan, melt the unsalted butter over medium heat. Add the garlic and cook for 2-3 minutes, until the garlic is soft. Remove from heat. In a small glass bowl, combine melted butter, garlic, olive oil, and oregano. Stir to combine thoroughly. Brush each half of the ciabatta bread with the olive oil mixture; making sure the entire surface is covered. 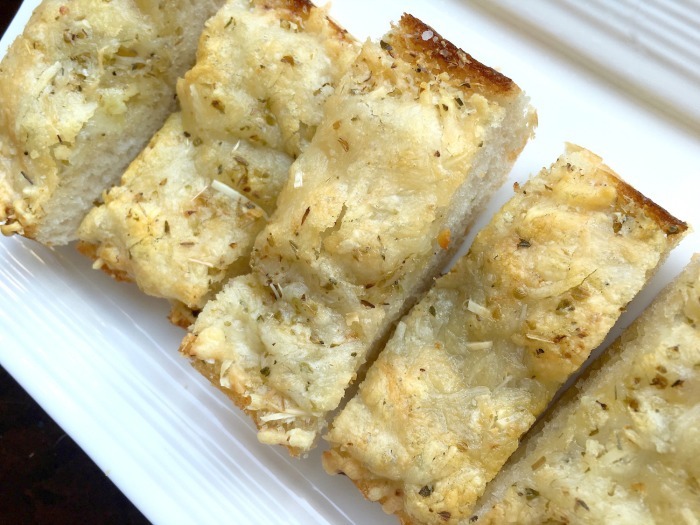 Grate Parmesan cheese over the surface of both bread halves and top with shredded Gruyere cheese. Sprinkle each half with salt and pepper, to taste. 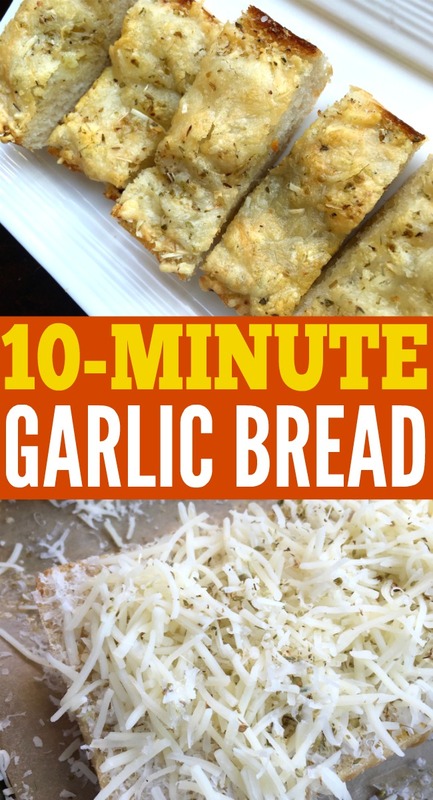 Place in oven and bake for approximately 8-10 minutes or until cheese is completely melted and starting to brown on top. Remove from oven and allow to cool slightly before serving.